Home » Personal Computing » Chromebook » Will Gen 3 Chromebooks Finally Hit the Mark? 12 Feb Will Gen 3 Chromebooks Finally Hit the Mark? Now on their third generation, Chromebooks have taken a deserved perceptual and business beating over the last few years. Generation one and two were flawed in many basic ways, with high prices, sluggish performance, and lack of robust off-line capabilities. This makes Lenovo’s and HP’s latest entry into the category all that puzzling. Is their entry into the market an indication that the third generation of Chromebooks will be a success? 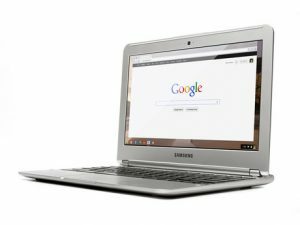 When Google introduced the Cr-48 Chromebook prototype in late 2010, hopes were high that the industry would see a viable alternative to the PC notebook. In 2010, most notebooks sold were thick, heavy, with around three hours battery life, and were sold between $499 and 599. The Cr-48 prototype got 9 hours battery life, weighed 3.8 lbs, was less than an inch thick, and came with integrated 3G. Chromebooks promised an inexpensive, enjoyable and simple, connected experience with very fast start times. That’s not exactly what was delivered. What was delivered was way short of delivering on the value proposition. Prices were as high as a PC at $499, performance was sluggish, had limited storage, limited battery life, and didn’t operate well or at all offline. As expected, the first two generations were only embraced by Samsung and Acer, and only a few consumers actually bought them. The third generation Chromebook experience is a positive step forward. Compared to the promise, here is how it stacks up. The “feel” is hard to characterize, but generally, with simple apps like Docs in one windows, the experience felt very snappy. Get on a complex web site with lots of J-script, videos and ads, and the experience starts to get very sluggish. It gets even worse as more tabs are added to the experience. Oddly, SD videos purchased off Google Play were very choppy on the Samsung Series 3 but HD YouTube videos were fine. Keyboards have remained solid and some models have even added the caps lock key. I wish there were a delete key, though. With 95% of the world on Windows PC’s this make a lot of sense. Will all these improvements turn the tides for the Chromebook? No. The challenge for Chromebooks as a category is that as they are improving their value prop, so are tablets and PCs and the “feel” is compared to a phone. The biggest of these issues is that PCs are improving. For nearly the same price, consumers can buy a Windows 8 PC that’s nearly as thin, with mores storage, and similar battery life that can run millions of apps. No, you don’t get the crapware or malware, but consumers don’t think like that. Tablets are an issue, too. If a Chromebook cannot replace the PC then it is an add-on to the experience, which then becomes a question of tablet versus Chromebook. Chromebooks are too much like a PC form factor and consumers will choose the tablet. Chromebooks have improved their value proposition over the three generations but it won’t be enough to significantly provide the boost that it needs to become a credible category. Chromebooks need to make a much more significant jump in utility or a lower price to do that. By adding better performing processors and graphics combined with more offline capability, it could do that, but that’s for the future. Posted by Patrick Moorhead in Chromebook, Personal Computing , Followed with Comments Off on Will Gen 3 Chromebooks Finally Hit the Mark?